"... deepening understanding between Jews and Catholics through shared study since 1967." 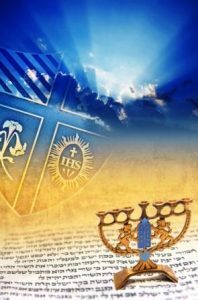 In 1965, the Second Vatican Council called for Catholics and Jews to join in “biblical and theological inquiry … and friendly discussions.” Almost at once the Jesuit community at Saint Joseph’s College founded the Institute – the first such response to the Council by an American Catholic college. They believed that rapprochement between Jews and Catholics was integral to the Catholic and Jesuit identity of Saint Joseph's and defined the mission of the Institute as increasing knowledge and deepening understanding between the two communities. Today, the Institute's professors teach courses on Christian-Jewish relations in the Department of Theology and Religious Studies and partner nationally and globally to research Jewish and Christian reconciliation and reform. They promote opportunities for Christians and Jews to be study partners, teaching and learning about themselves and each other by studying and experiencing together texts, rituals, events, and places. 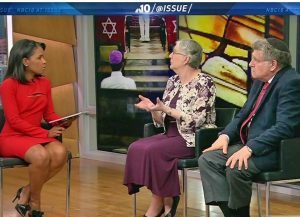 Rabbis Skorka, Sandberg on NBC's "10 @ issue"
NBC-10's Erin Coleman interviews Rabbis Abraham Skorka and Ruth Sandberg on the need for interreligious dialogue. Rabbi Skorka is SJU University Professor and Rabbi Sandberg is a Professor at Gratz College and an Institute Board member. Religion and Science: Contradictory or Complementary? Rabbi Abraham Skorka explores this question from the perspective of Rabbinic and Jewish traditions. Dr Gerard Jacobitz offers a response. Philip A. Cunningham: "Emerging Principles of a Theology of Shalom," Horizons: The Journal of the College Theology Society 44/2 (December 2017): 281-305. Adam Gregerman, "Is the Biblical Land Promise Irrevocable? : Post Nostra Aetate Catholic Theologies of the Jewish Covenant and the Land of Israel," Modern Theology 34 (2018): 137-158. The Institute is a founding member of the Council of Centers on Jewish-Christian Relations (CCJR), a network of centers and institutes in the United States and Canada. 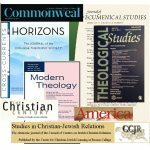 The Council publishes the peer-reviewed, open-access online journal Studies in Christian-Jewish Relations. The Institute cosponsors with the CCJR a library of resources in C-J relations called Dialogika ("things of dialogue"). The library provides documents from Catholic, Protestant, Jewish, and interfaith bodies; educational resources; and texts from the history of C-J relations. The Institute is a member of the Consortium of Holocaust Educators of Greater Philadelphia, which fosters communication and cooperation among regional organizations engaged in Holocaust awareness and education. Most of the Institute's many programs are funded by an endowment that honors the Institute's late director, the Rev. 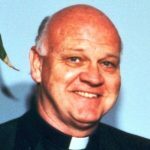 Donald G. Clifford, S.J., who directed its activities for over forty years. Please consider financially supporting our mission of deepening understanding between Jews and Catholics.